Growing up on the same block in Reading, PA through childhood, Russ and Kevin had been in a variety of different bands together. North End as it is today began in 2008 following the end of a metal band Russ, Kevin, and Marcus were part of. The three began writing what is the band’s first EP. As mixing was being completed Peter joined the band after contacting Marcus, an old high school acquaintance. That’s how the band was formed in nutshell. We play music and hang out, that’s us in a nutshell. 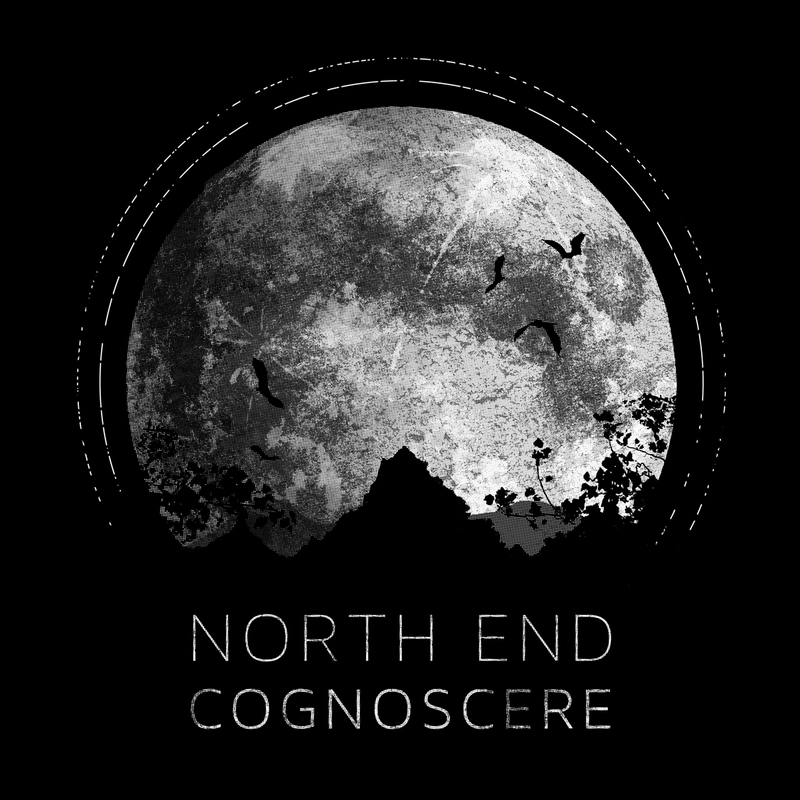 This is North End and the are debuting an exclusive play of a track off their forthcoming EP titled ‘COGNOSCORE’ on the Fade To Yellow blog. To complement the track, which is titled ‘Test Of Thyme’ I got them to say a few words about the band and their music. You can play the track while you read the interview. FTY : Can you tell me about the members of North End and how did the band get it’s name? [Marcus] North End began as an acoustic project for Russ when he was in high school. The name literally came from a sticker he saw on a box, it was short and simple. Him and Kevin both lived in the same neighborhood growing up so they’ve been playing together in different bands for years. I jammed with Russ in college and then hopped on to play with them for a few years. We decided to change our sound when creating North End and Peter joined after the first EP. We both went to high school together and he reached out to me a few years after to jam, coincidentally we were looking for a second guitarist. [Marcus] Our songs always go to different places. We change up parts often while keeping an overall theme to the song. FTY :You have a new album that will be released soon. Can you tell me all about it. [Marcus] It’s only a 5 song EP, but it represents the best work we’ve done yet. Overall it has a more aggressive tone compared to our previous albums. Kevin Dye from gates got the heavy sound we were looking for and working with him was a great experience. We worked with Paul Gold at Salt Mastering for the third time, he does a great job putting the finishing touches on our releases. FTY : What can you tell me about the track that can be streamed while reading this interview? [Russ] Test of Thyme was the first song we wrote for this EP. We debuted this song last summer while on a short tour in California. This track came out great, definitely the sleeper track for us on this album. [Russ] It depends. Someone may come with an idea and we expand on it from there, sometimes it’s completely organic. We don’t always start from the beginning of the song. I wrote the middle two minutes of the last track on Cognoscere “Warm Winter” before the beginning was written. Our song names are often completely random. For example, I sent a text message to my friend that lives in Los Angeles and my cell phone auto-corrected the text message to “Gabardine”. Song name. We play as much as possible, but concentrated primilary on finishing the EP this year. We have an East Coast tour planned in August, playing a few shows with our Canadian friends The Bulletproof Tiger. We’d also love to play SxSW in Texas! [Russ]We’re influenced by the bands we’re listening to at the time. For Cognoscere, bands such as Enemies, And So I Watch You from Afar, This Town Needs Guns, and Cloudkicker were big influences. [Marcus] We use social media (facebook, twitter, instagram, etc.) and keep close communication with other bands and bookers/venues over email. All of that is great because it gets people out to shows and let’s us keep them in the loop of what we’re up to. FTY : Would you say that bands like yourselves are turning the music industry on its head. It used to be the case that unless you had some sort of record deal then you were going nowhere and it was difficult to put music out as it all relied on distributors. What are your views on this and how easy is it to self release an EP or album? [Marcus] We’re in favor of independent artists and how much work they put in to get themselves out there. In the age of blogs, social media, and internet radio it’s possible to reach any number of listeners. For us releasing an album with all of the artwork and promotional materials is a ton of work because everyone has jobs full time. It’s also one of the most rewarding things that we’ll continue to do for years but generally, independent bands will get back as much as they put in. [Russ] Stage Kids. We got to play with them in San Diego last year, that band rules. [Marcus]We all fell in love with the newest release by “Enemies” called “Embark, Embrace.” It just came out in May and we jam on it constantly. A lot of European indie rock bands like “This Town Needs Guns” are coming out with incredible records this year. Enemies did an amazing job and the album is killer from start to finish. FTY : What does the future hold for North End? [Russ] Get this EP out to people and play shows all over. We would like to tour in Canada, or perhaps go back to the west coast next year. Please contact us if you want us to play in your town, we will try our best to make it work!